"Since late 1995 Staalplaat has issued limited edition releases by Muslimgauze. Until now 9 of those releases were available, and they are all sold out. To explain once more: the limited editions are for die-hard fans, giving the possibility to collect a lot of Mr. Muslimgauze's music (and imagine: there is still much you didn't hear). 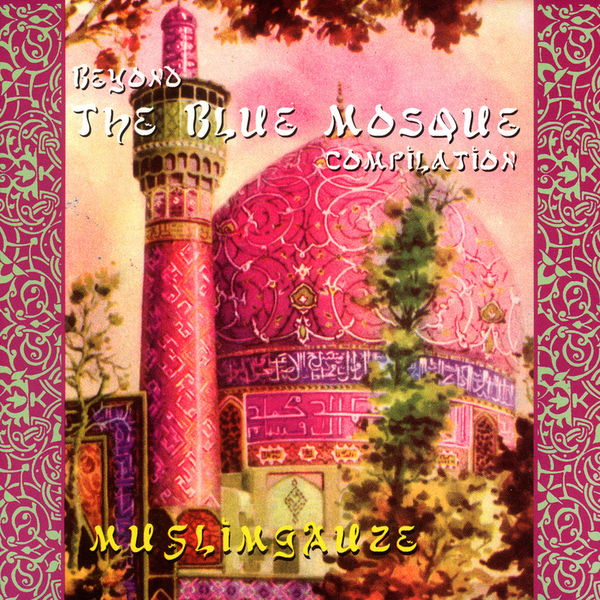 Beyond The Blue Mosque is the first in a series of those compilations. Compiled by Berrie Kamer (VPRO's Mort Aux Vaches man) with the best tracks taken from Izlamaphobia, Azzazin, Return Of Black September, Deceiver and the Zealot 10". The music shifts back and forth between aggressive up tempo pieces (from Izlamaphobia and Deceiver) and the dark, moody brooding atmospheres (from Azzazin)."